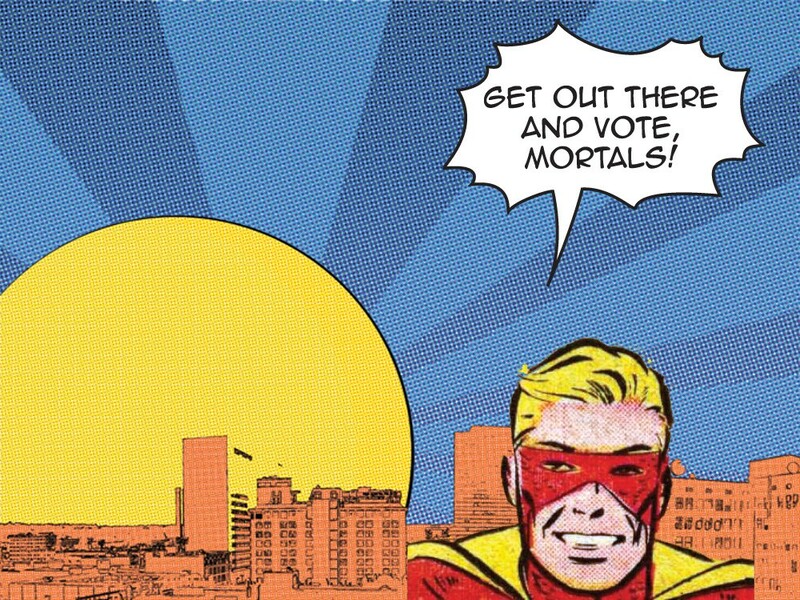 Like superheroes, Spokane City Council members have powers. Unlike superheroes, these powers don’t come from being born on another planet or getting bitten by a spider. Instead, they come from a majority of people voting for them. These voter-approved powers can be made to work wonders: to pave potholes, build bike lanes, protect the city and trim taxes. Council members want to leave office feeling they used their powers well and did their part to save the city. But back to that election part. Not everyone is going to be a hero. Some will remain mere mortals. Elected in 2007, Councilman Richard Rush has already had a taste of this type of heroics and wants to get re-elected. He says he wants to defend the police ombudsman’s expanded powers to carry out independent investigations; to implement the Sustainability Action Plan; and to continue to work with council members Amber Waldref and Jon Snyder, whom he encouraged to run and considers his ideological counterparts. And in this election, Rush found himself a sidekick. Joy Jones, out of the northwest part of town, was encouraged by Rush to run for the District 3 seat being left open by Steve Corker. Jones, an urban planner who works for a nonprofit, has politics that echo aspects of Rush’s progressivism. She advocates for the creation of jobs that pay a living wage. She supports building bicycle lanes and overhauling sewage systems to keep raw sewage from pouring into the river. Both Rush and Jones have received endorsements from the Spokane County Democrats. Outside of that, they’ve held fundraisers together and are friends. “I would say that between Mike [Allen] and Richard, I would probably work better with Richard,” Jones says. Jones was speaking of Mike Allen, Rush’s opponent. Allen was appointed to the City Council when Mary Verner was elected mayor, but Snyder unseated him in the next election. For his campaign to get his powers back, Allen has advocated holding off on building bicycle infrastructure until the city budget stabilizes. He has also faulted the city’s fiscal accountability policies. “Every single year they ask us for double digit increases in our taxes, and we don’t have any performance evaluations,” Allen says. He called for these evaluations while on the Council, notably during discussions of the mayor’s environmental Sustainability Action Plan. Allen wants a change in culture at City Call, he says, arguing that the current Council stifles job growth and prohibits development. His counterpart in championing a business-friendly platform is Steve Salvatori, who is running against Jones in District 3. Salvatori’s prime issue is the permitting process at City Hall, which he says is so labyrinthine as to undermine Spokane’s industries. Clarifying this process will encourage job growth, he says. “After three years of the worst recession in our lifetime, the No. 1 priority is jobs. Jobs, jobs, jobs,” Salvatori says. He points to his founding of the Spokane Entrepreneurial Center as proof of his business sense and his ability to generate employment. Allen and Salvatori present themselves as fee-adverse candidates who are skeptical of the City Council’s way of doing business. That stance has earned them both endorsements from the Republicans of Spokane County. Mike Fagan and Donna McKereghan have not been endorsed by any party organizations. They have never held elected office before. They are both aiming to represent District 1, on the northeast side of town. In this way, they are on the same team. In every other way, including the fact that they’re running against each other, they are polar opposites. “I can’t think of anything — other than our shared love of community — that Mike and I even agree on,” says McKereghan. McKereghan says she would be a consistently middle-of-the-road vote on the Council. She would also try to encourage unions and city departments to appoint liaisons to the Council. Fagan gained notoriety for working with infamous initiative crusader Tim Eyman on anti-tax propositions. He says he would bring his skepticism of taxes and fees to the Council. “I’m a jobs candidate. I’ll tell you that right now,” he says. The man vacating the seat, Councilman Bob Apple, has endorsed Fagan. And McKereghan’s been endorsed by current Councilwoman Waldref, who also represents District 1. For one of these two candidates — both of whom have run for the Council, and lost, before — 2011 will be their shot at finally making it onto the dais.